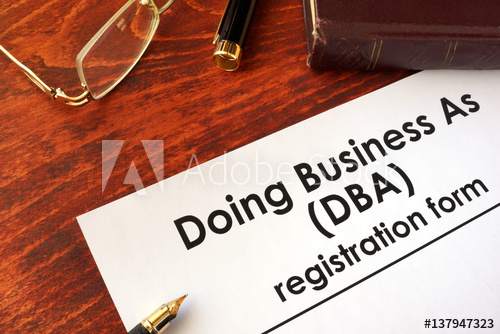 A new statute governing assumed business names (sometimes referred to as “doing business as” or “d/b/a” names) in North Carolina went into effect on December 1, 2017. Article 14A of Chapter 66 of the North Carolina General Statutes (the “Assumed Business Name Act” or the “Act”) replaces the prior statute on assumed business names and changes both the form and filing procedure for assumed business name registrations. This new Act applies to all individuals and business entities wanting to engage in business in North Carolina under a name other than their legal name. One of the primary benefits of the new Act is that it allows an individual or business entity wanting to use an assumed name in multiple counties throughout North Carolina to indicate such desire on the new Assumed Business Name Certificate and record the Certificate in just one of those counties. The Register of Deeds in the county in which the Certificate is recorded will then forward a copy of the Certificate to the North Carolina Sectary of State, and the Assumed Business Name Certificate will be included in a searchable, statewide online database. It is important for anyone conducting business under an assumed name to understand that Assumed Business Name Certificates currently of record under the prior law will expire on December 1, 2022. Additionally, if any information in a Certificate filed under the old law has changed, or if a general partnership would have been required to file a new Certificate under the prior law due to the withdrawal or addition of a partner, then a new Assumed Business Name Certificate must be recorded under the new Act immediately (rather than waiting until the 2022 expiration). Recording a new Assumed Business Name Certificate in compliance with the Act as soon as possible is recommended for anyone conducting business under an assumed name so that these important deadlines are not missed. Failure to comply with the new Act can subject the individual or entity to liability to any person who is injured by said failure, including costs and attorneys’ fees incurred by that person in trying to ascertain the information that was to have been set forth in a new Certificate.